“There are two kinds of people doing conversion optimization: tacticians and strategists,” wrote Chris Goward in this KISSmetrics article about conversion strategy and tactics. Here, we aren’t going to dwell on the pros and cons of either side. Whether you like to think of yourself as a tactician or a strategist, you need to remember that either is incomplete without the other. Ongoing CRO needs a healthy mix of strategy and tactics. So let’s examine a few approaches that will stand you in good stead, regardless of your industry, product or service. It’s easy especially to get carried away on your website and talk endlessly about your own product or service. While it’s undoubtedly necessary to do justice to whatever you’re selling, try and do justice to your user too! Think about why the user is on your site in the first place and then proceed to write your copy. Chances are they’re hunting for an answer to a problem and they think you might have it. Use your copy to tell the user how your product can help solve their problem, instead of giving them in excruciating detail all the “features” you’ve built into it. This is even more important on landing pages, where the user has arrived after a very specific action – querying a search engine for a particular problem, clicking on an ad for your product, clicking through from an email you sent them, or even via a post on social media. Highlight special offers to ensure that they play their role in helping a user convert. Think of a real world store. Where would it place its ‘SALE’ sign? On the shop window or at the back of the store? Your landing page is your shop window pulling users in and asking them to try out your product or service. So things like a complimentary product, a sale, a discount or a free trial must be given pride of place to ensure maximum conversions. Don’t feel guilty; just look at is as a small bribe that will sweeten the deal and tip undecided users over the edge into conversions. The luxury industry has not been a happy place to be in the last few years. First the recession in the US and Europe hit luxury numbers hard. Then 2013 saw a slowdown in the Chinese luxury market – one of the lifelines that luxury brands worldwide were hanging on to. With luxury buyers notorious for searching online and shopping offline, luxury e-commerce was considered a fool-hardy pursuit by experts. That’s the reason why the scorching success of Net-a-Porter’s luxury e-commerce model in this climate of doom and gloom, deserves a mention. Net-a-Porter’s biggest secret to success, is the fact that it truly understands the psyche of the fashion buyer and behaves accordingly. Their e-commerce does nothing to follow traditional e-commerce rules. The homepage does not carry a single price tag or special deal – staples of nearly every single e-commerce site on the planet. Instead of being a salesgirl, Net-a-Porter chooses to be the luxury fashion consultant. The entire site is designed in the format of a luxury magazine (probably an after-effect of founder Natalie Massenet’s former role as a fashion journalist with Tatler), with beautifully laid out fashion spreads, luxury must-haves and the latest designer lines that grace the ramps of global fashion capitals. Net-a-Porter – a brand that made content the hero of its homepage – was one of the pioneers of content marketing for luxury goods. 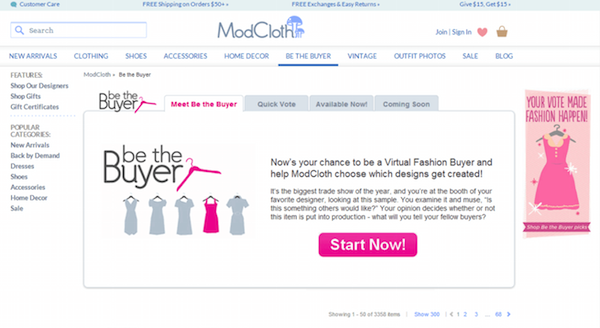 Its drool-worthy content tempts buyers here; no bargain pricing or deep discounting for this e-commerce site! As a result, Net-a-Porter actually grew 18% when deep-pocketed luxury brands were struggling to stay afloat and was worth GBP 434 million in 2013. If an idea as outlandish as buying the latest Versace suit online can work, why hold back on your original but untested idea? Instead of letting the next Net-a-Porter suffocate inside your head, unleash it to the world in little baby steps and build it to scale on the back of real-world user behavior insights. Go for specific benefits that you can offer, instead of picking a generic headline that needs a ton of explanation. Check how your headlines fare by using this 5 step ‘headline test’ on them. User-generated content typically tends to have higher engagement rates than brand promoted content. Moreover, user generated content is considered more trustworthy and is referred to by buyers 50% more often to make purchase decisions as compared to brand promoted content. Brands like Starbucks, ModCloth and Converse get this fact perfectly well and have used user generated content to their benefit. Starbucks launched its microsite ‘My Starbucks Idea’ about six years ago to invite users to share their ideas and suggestions to improve the overall Starbucks experience. Since then, Starbucks has received thousands of ideas, many of which have been actually implemented to a great reception in their stores. From new flavors to mobile payments, to the hugely popular cake pop treats, Starbucks uses customer insights beautifully and integrates them into its final product as well as experience. By the way, the cake pops idea (#128) led to over 5.8 million cake pops being sold every single year. Big data is an overused and little understood concept that’s been doing the rounds of the Internet in the last few years. In the simplest of words, big data refers to a record of every digital action that a user performs on your website. From browsed pages to patterns, from time spent on pages to total page views, from clicks to hovers, from scroll to eye-tracking data – big data covers the entire gamut of onsite user behavior. Capture all the data that your site generates and apply the insights therefrom to personalize your website to user preferences. Notice that a certain page layout works better than others to convert users? Consider using that layout more extensively on your landing pages. Did a user visit your site before and browse for certain items without buying them? Show them their last browsed items along with more items based on their browsing history to increase chances of a sale. 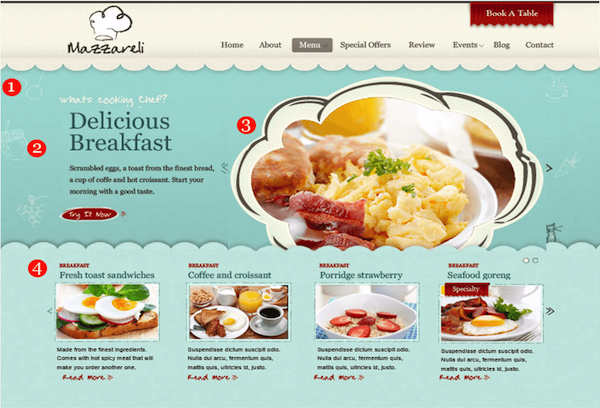 When a customer logged onto the site in the morning hours with a previous search history for breakfast items, the website automatically personalizes itself for the user’s tastes and serves up a completely customized homepage. Tools like Personyze (creates a tailored message for a targeted audience) and Unbxd (offers personalized product recommendations to first-time visitors to online stores) help you capture meaningful insights from big data and apply them to individualizing your user experience for each user based on these insights. There are some approaches to sales and marketing (and therefore, conversions) that will always yield value when implemented correctly. That doesn’t mean you can breathe easy just because you’ve covered the bases. Conversion is a game of marginal and incremental benefits that have the potential to scale enormously. Sign up forms, customer reviews, CTA colors, payment options, search boxes, anything and everything on your website has room for improvement – at any given time! 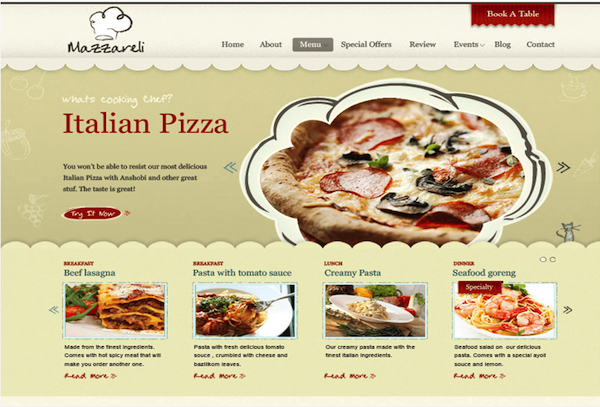 Try to continually be on top of new trends and techniques in web and mobile conversion, and always be experimenting. That’s the best strategic, tactical and fundamental advice I have to offer! Rohan, thank you for contributing and showing us realtime examples of such an important part of digital marketing.